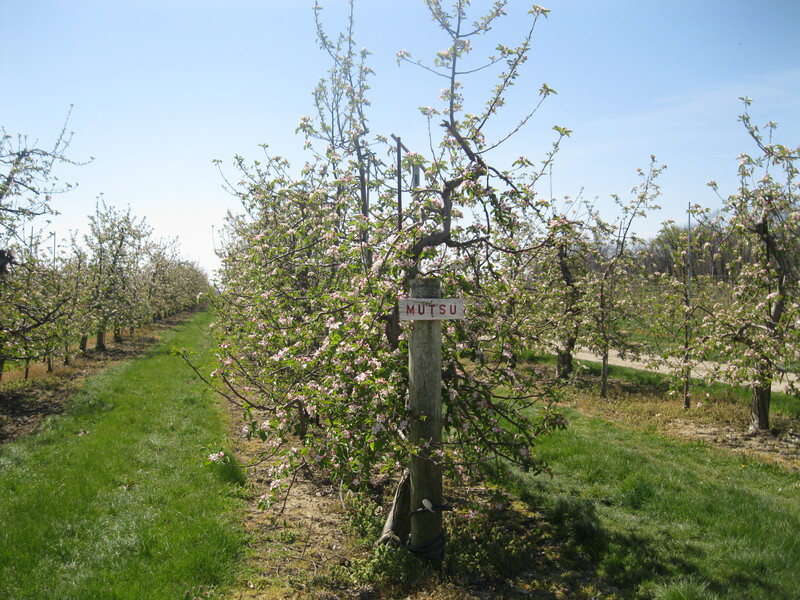 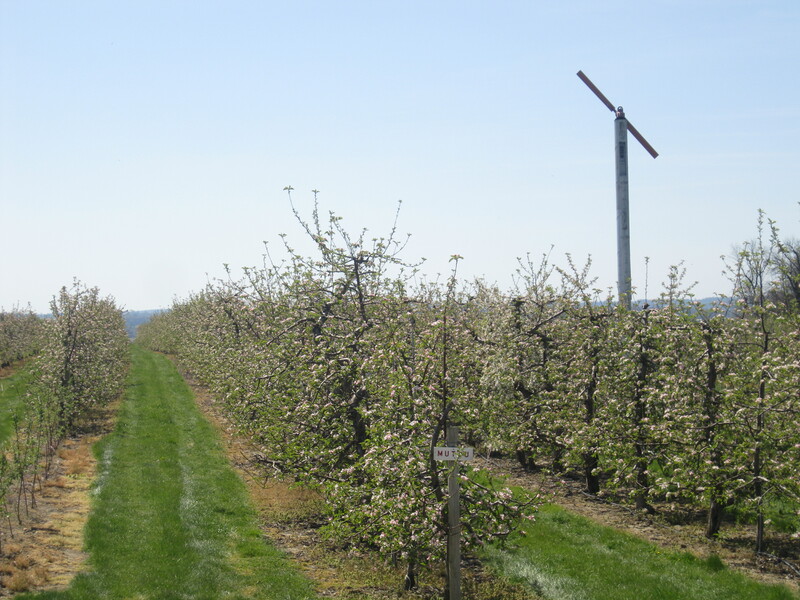 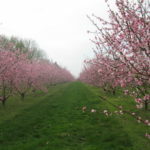 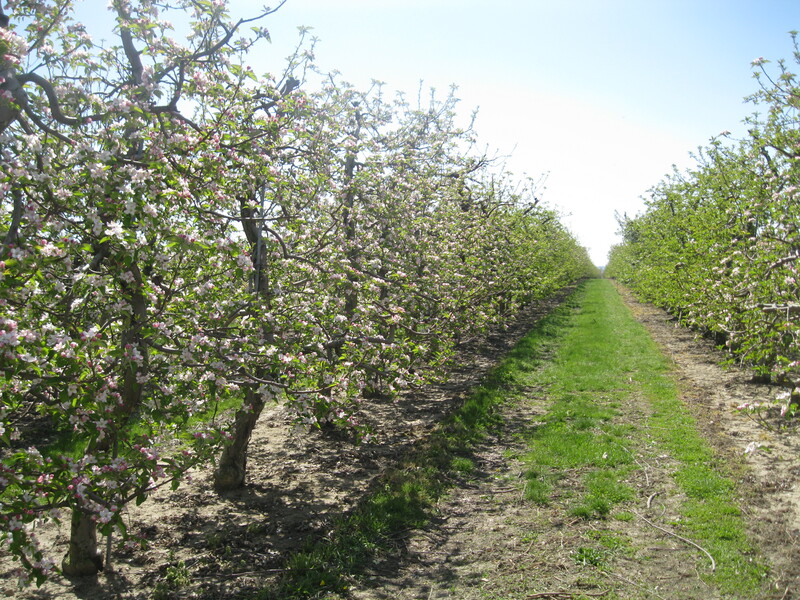 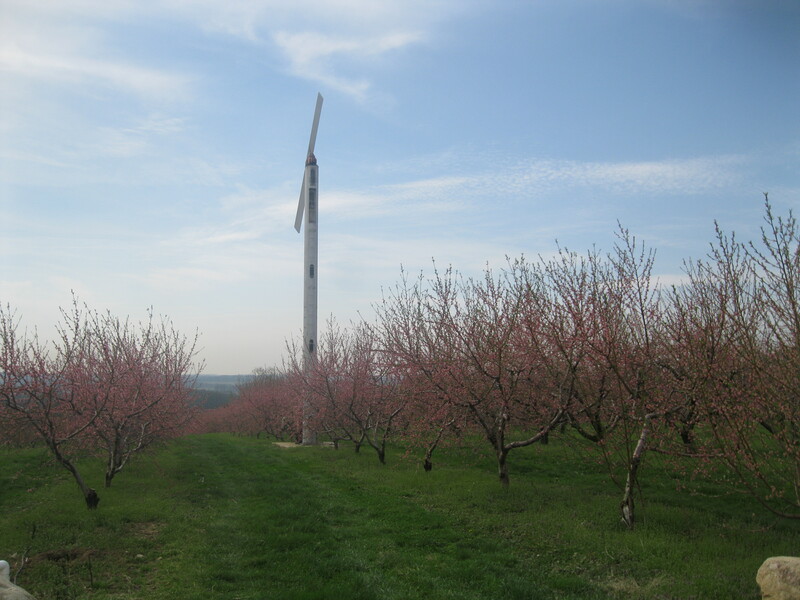 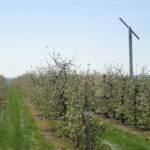 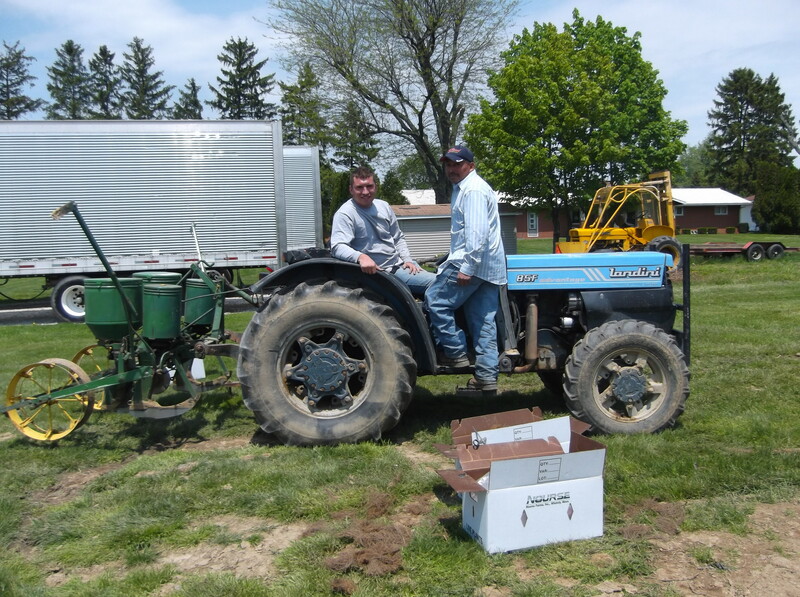 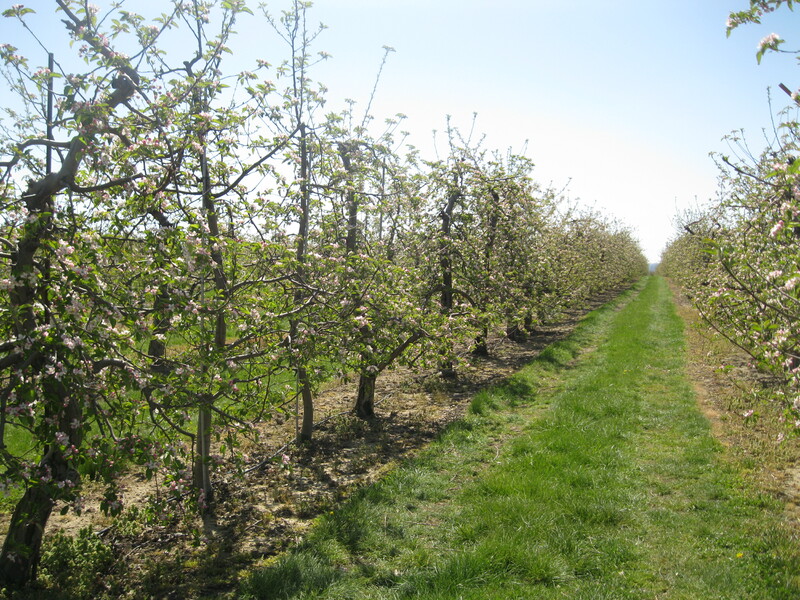 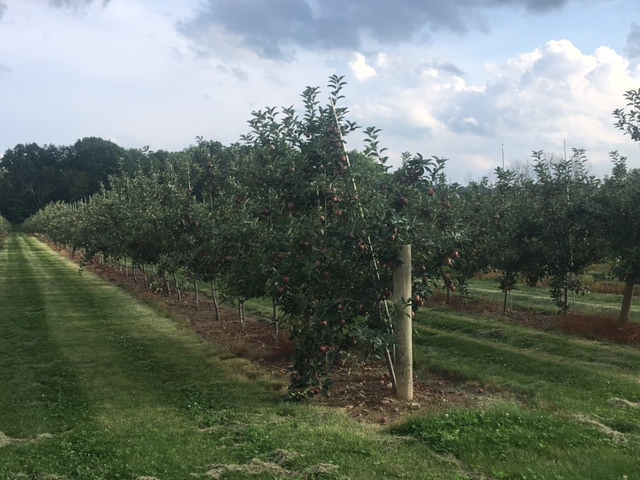 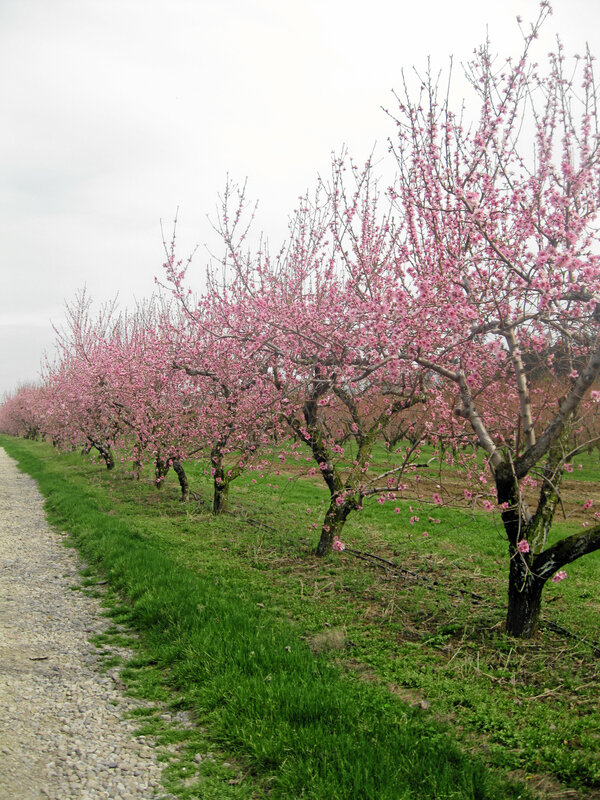 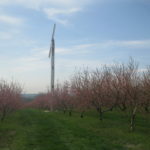 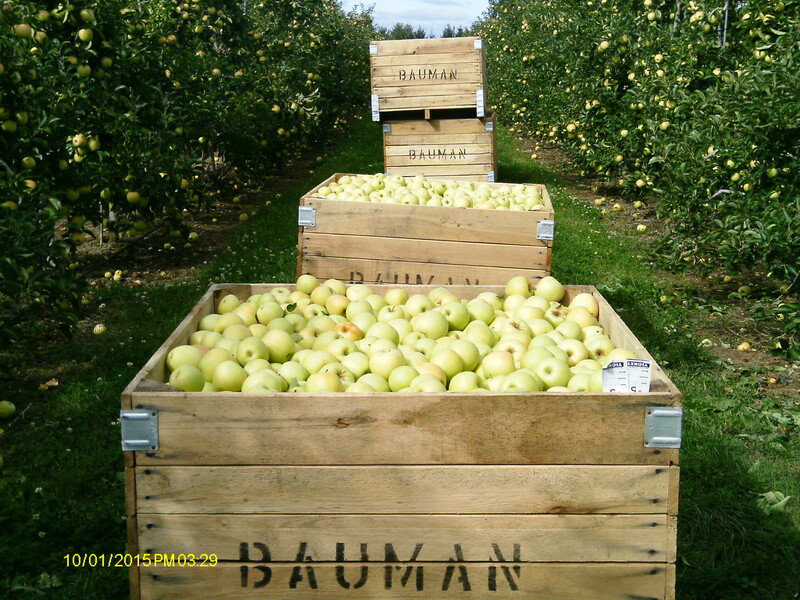 Bauman Orchards consists of 265 acres in Rittman, Ohio. 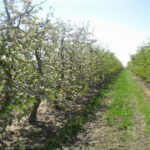 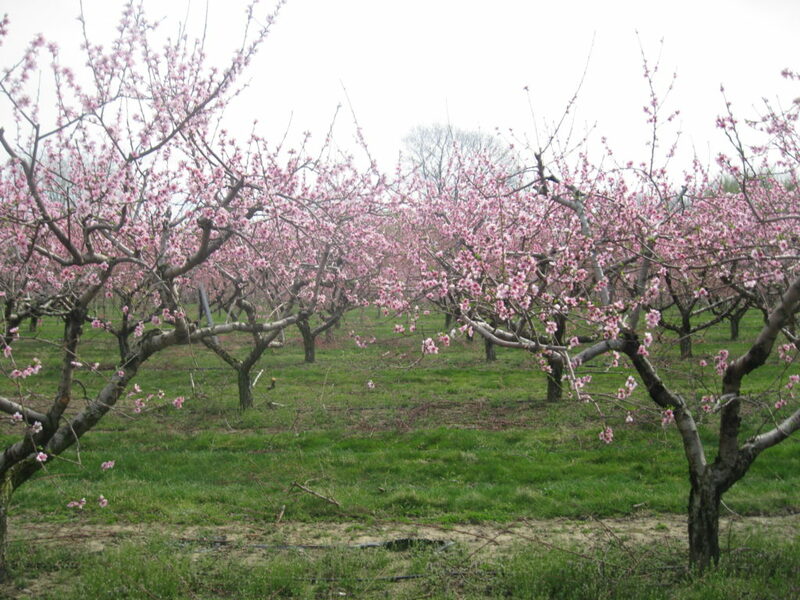 We have approximately 40,000 apple trees, 8,000 peaches, and a variety of other fruits and vegetables. 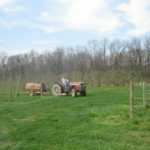 Continually expanding. 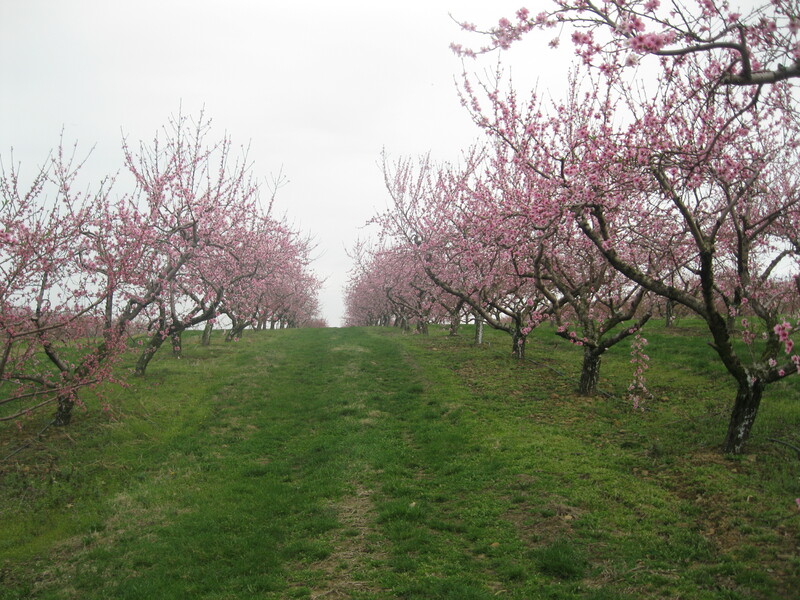 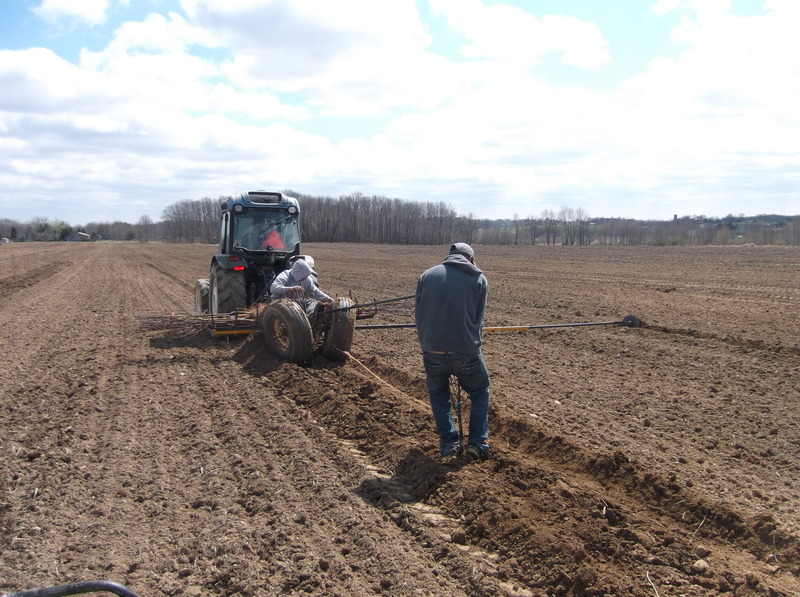 We recently planted a new 30 acre plot of apples and peaches in Rittman and built a new warehouse on Seville Road. 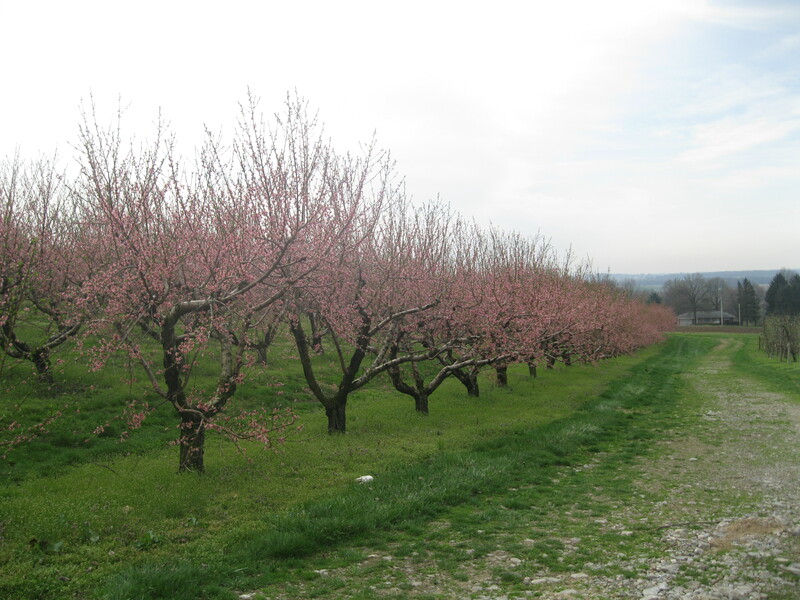 On Rittman Avenue we recently purchased 26 acres on which we have planted a few peach trees, pumpkins and squash. 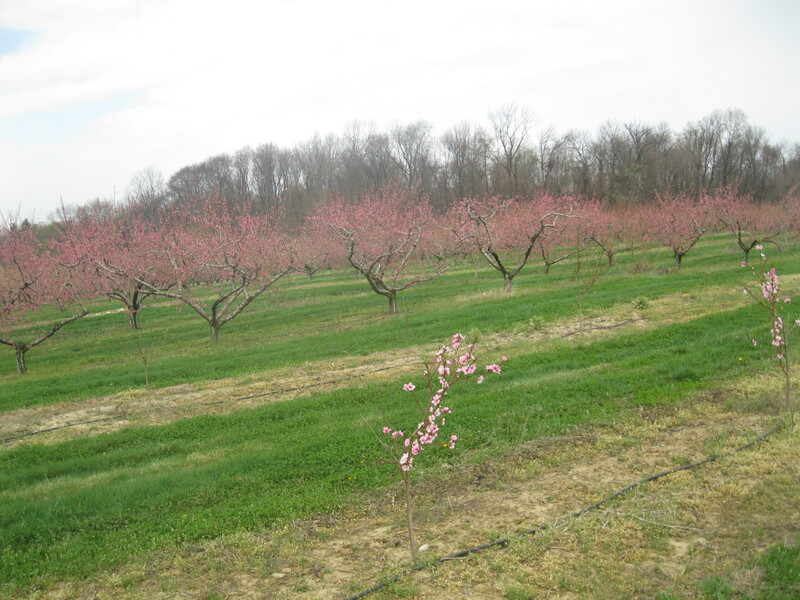 All of our new plantings are dwarf and semi-dwarf trees. Better fruit quality, easier spraying, easier harvest are some of the advantages of dwarf trees. 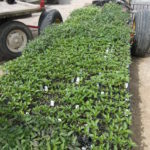 However, some of the disadvantages are they are more susceptible to disease, and need to be staked or trellised. 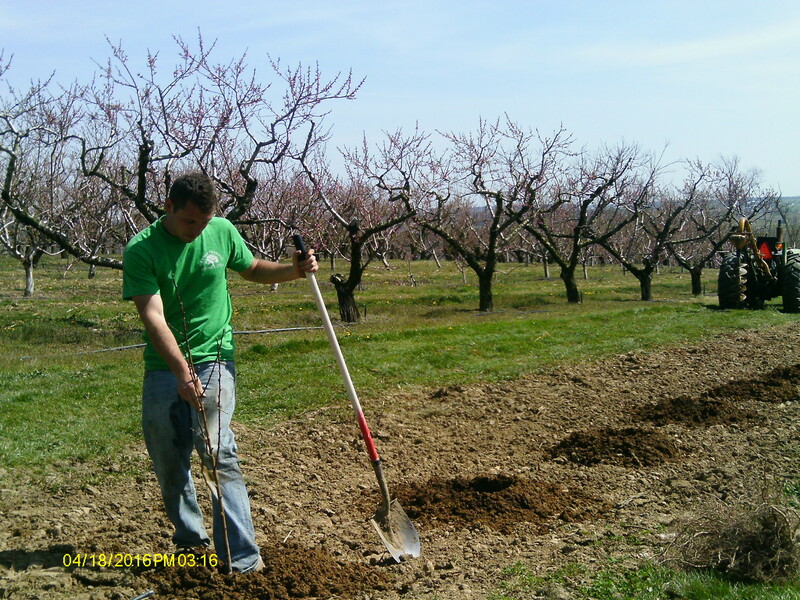 We use drip irrigation at our orchard. 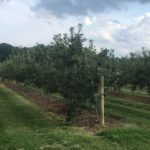 It seems to help keep our trees healthier and gives us better fruit quality. 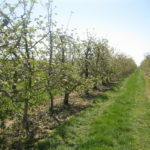 We have about 25 different varieties of apples. 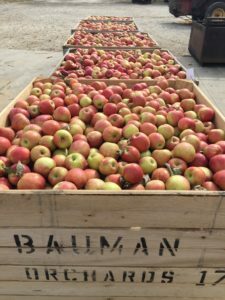 Available varieties include Red and Yellow Delicious, Jonagold, Mutsu, Fuji, and Gala. 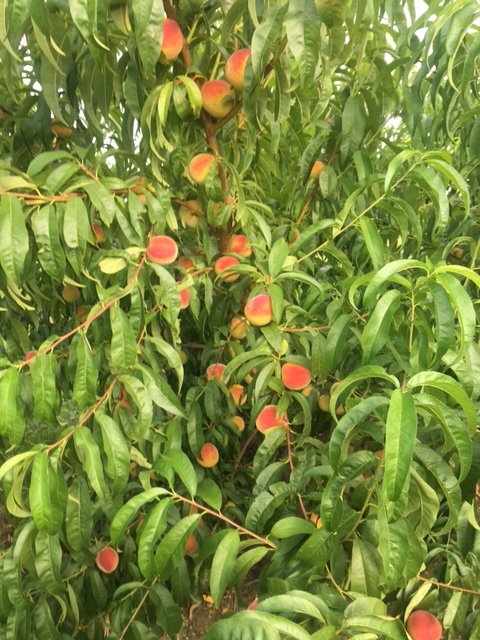 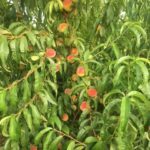 We have at least 15 varieties of peaches. 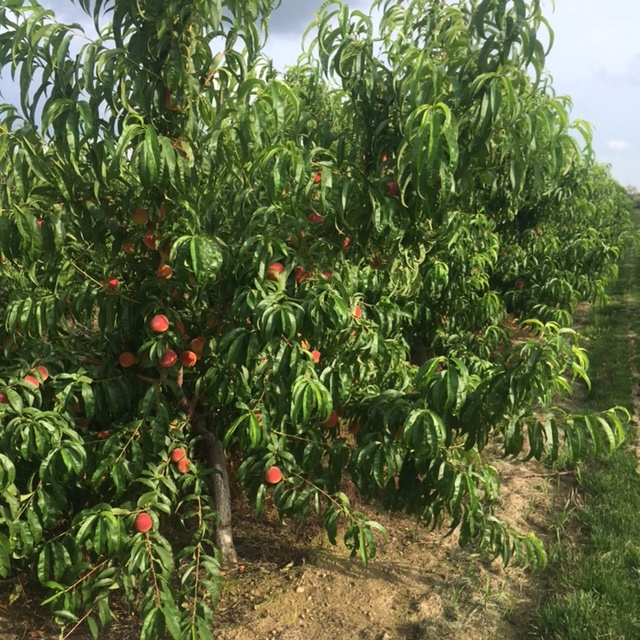 Varieties include white peaches and our most popular, Red Haven. 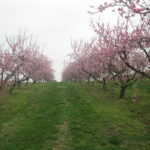 We start picking in July and pick them tree-ripe for our market for better flavor. 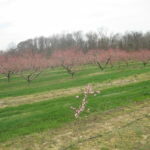 At Bauman Orchards, we also have plums. 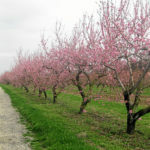 Stanley, Methley, Shiro, and Santa Rosa are some favorite varieties. 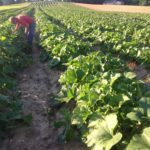 In June, we begin our strawberry season. 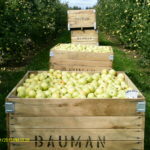 Customers can buy them at our market or pick their own. 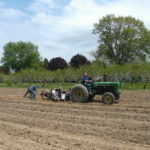 Vegetables are grown at Bauman Orchards. 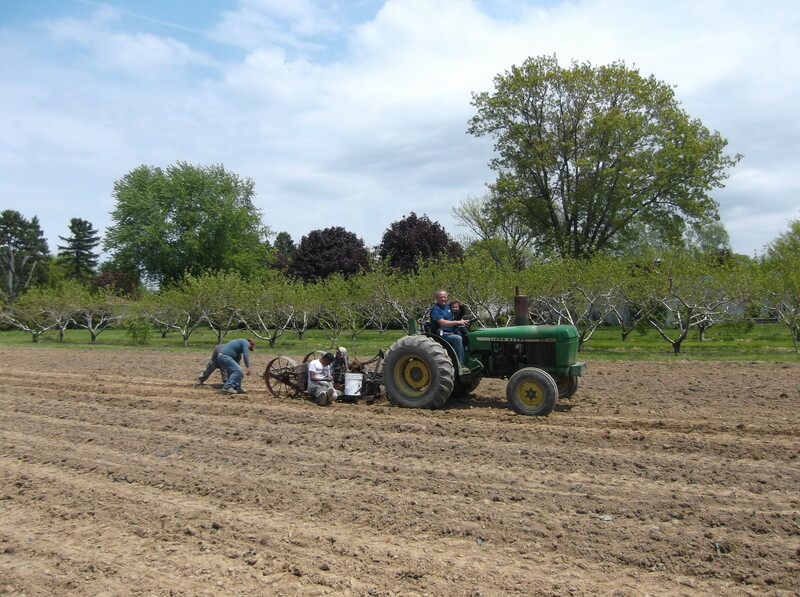 Our selection includes sweet corn and tomatoes which are picked daily for our market. 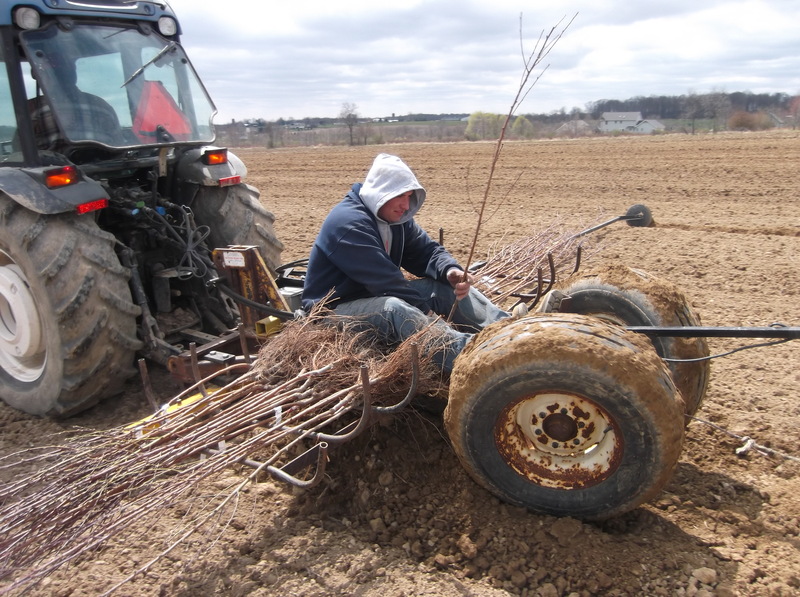 In the winter, we are busy pruning trees. 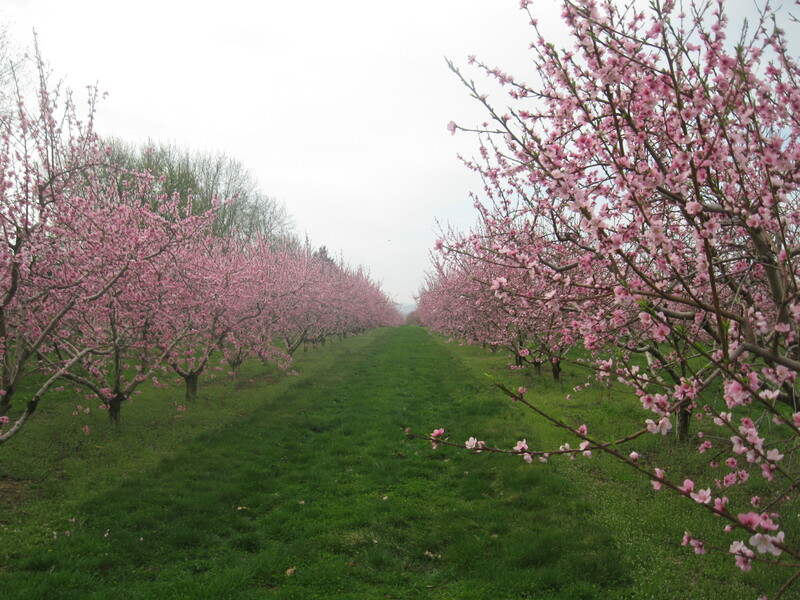 We start in December and finish around the first of May. 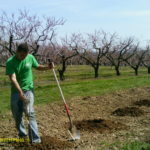 This is probably the biggest job in the orchard. 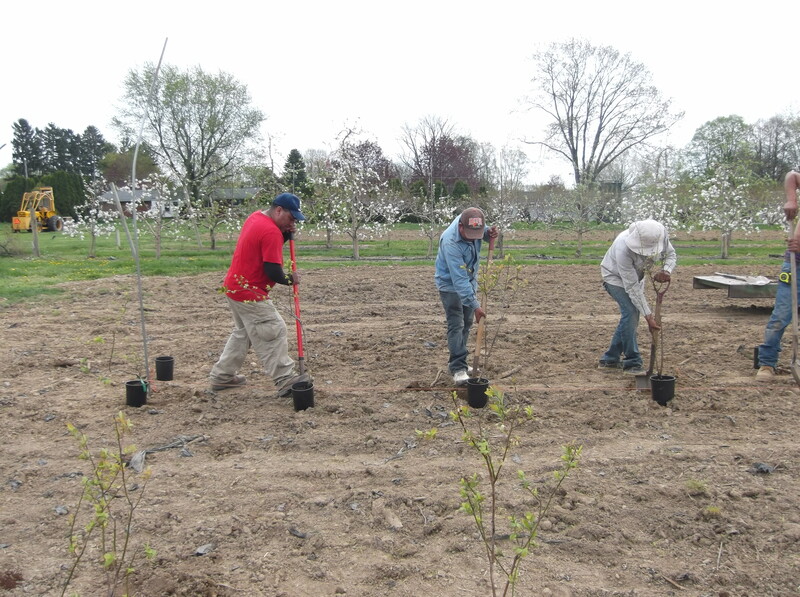 We prune every tree, every year. 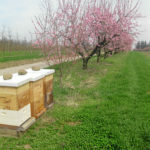 Spring is a busy time. 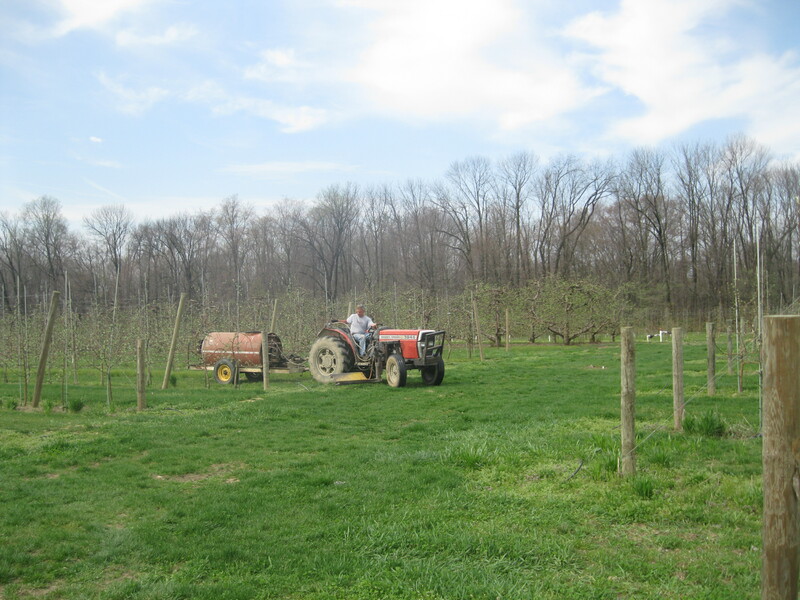 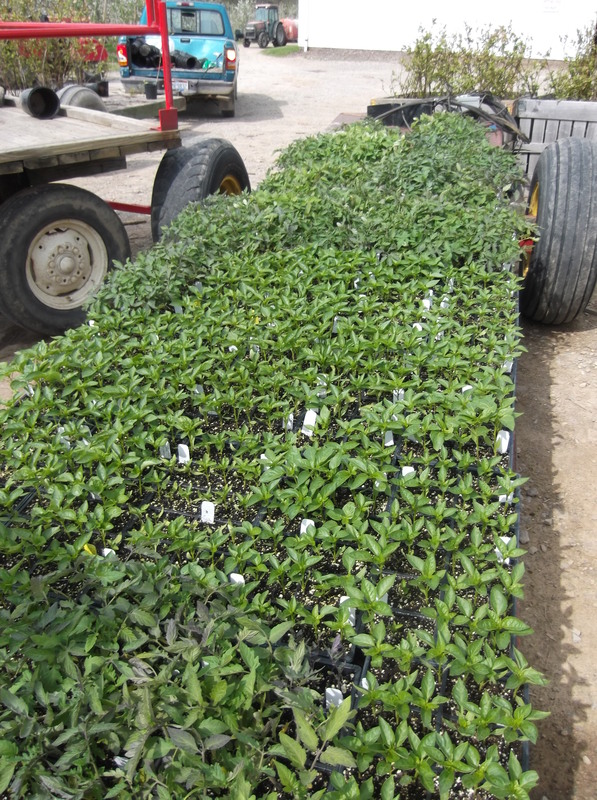 In the spring, we finish pruning, clean up the brush, plant new trees and vegetables, and start our spray program. 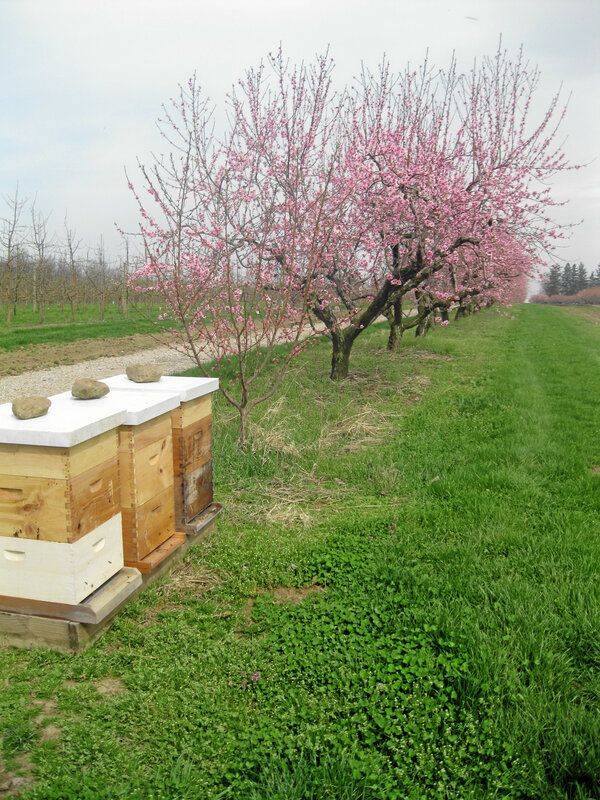 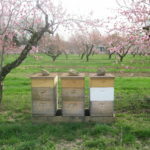 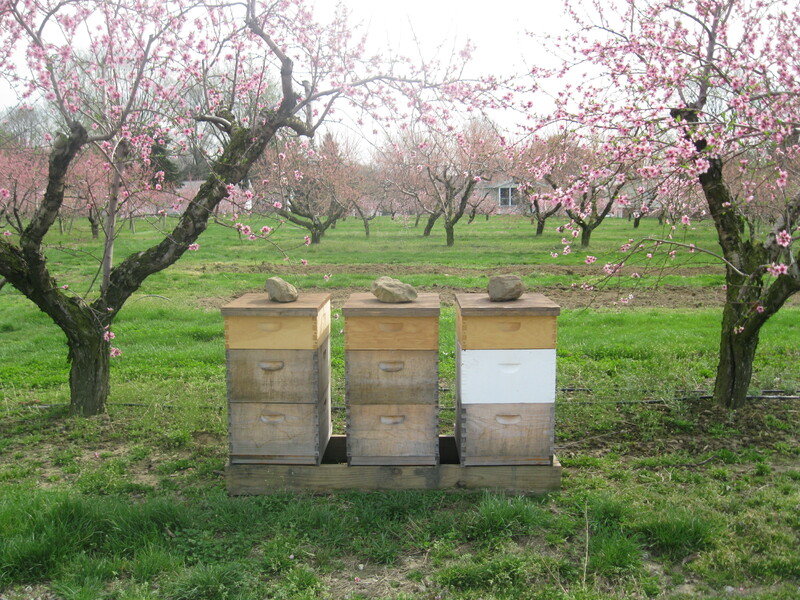 It is also the time we rent bees for pollination–without the bees pollinating the flowers there would be no fruit. 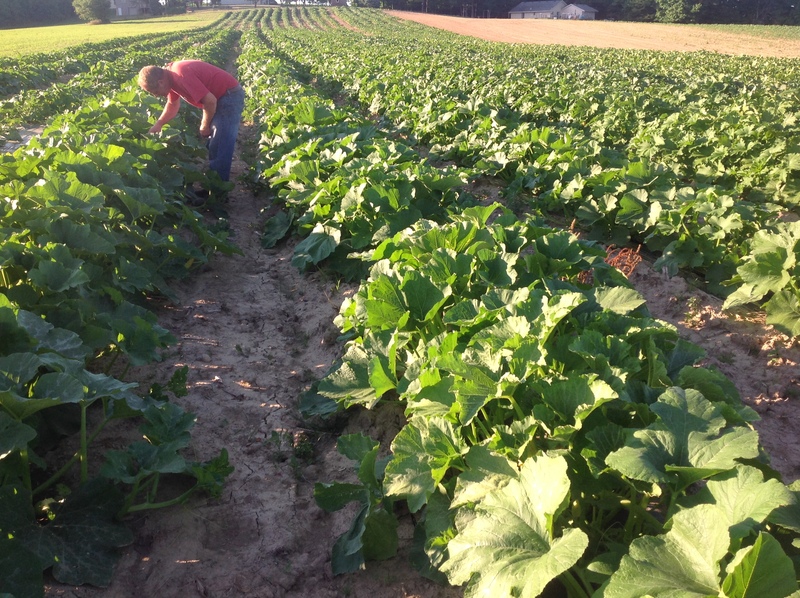 In the summer we begin our harvesting. 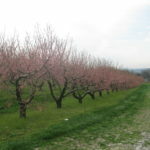 We start with strawberries, then peaches and summer apples such as Lodi and Transparent. 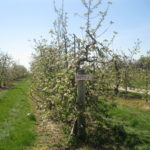 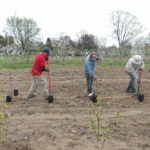 In the fall we have 10 – 12 pickers to help bring in the rest of our apple crop. 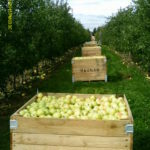 Some experienced pickers can pick up to 300 bushels a day. 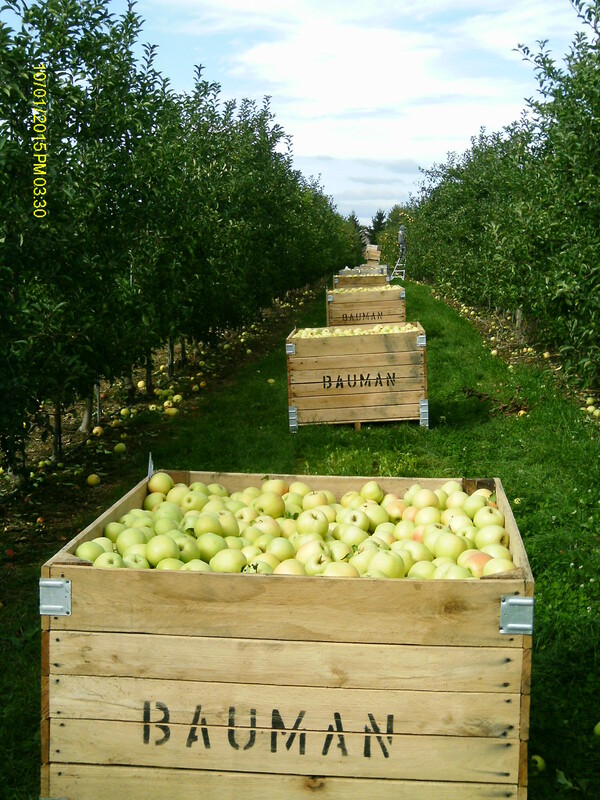 We pick apples in 18-bushel wooden bins.